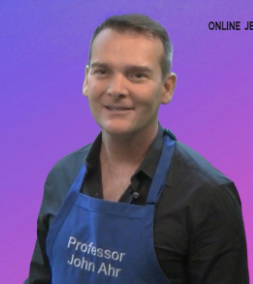 John Ahr divides his career between artistic exploration and arts education. His work as an artist explores the silly to the sublime in a variety of media to form a uniquely expressive hybrid. Born in Albuquerque, New Mexico, Ahr now lives in Southern California. He regularly teaches jewelry design and fabrication at the Fashion Institute of Design and Merchandising (FIDM) where he serves as the Director of the Jewelry Program. Ahr has worked as an artist and a designer for over 30 years. He has produced a wide variety of fine art and commercial work in both traditional and non-traditional materials. Ahr's work has been exhibited in the US as well as Europe and Japan. He is especially known for the skillful eclecticism of this work that often incorporates his photos. In 2003, Mr. Ahr designed the featured decor elements for HBO's Emmy Awards and Golden Globes after parties. In 2001, Ahr earned a M.F.A. in metals from California State University, Long Beach. He has appeared on both the "Lifetime" and "DIY" networks where he has shared his knowledge of crafts. Don Hunt is truly a renaissance man. He has enjoyed success in a variety of fields. And, he is always willing to face a new challenge. His artistic sensibilities and technical prowess have helped the OJA to quickly make a mark on the field of jewelry education. Jewelry training has historically been the realm of apprentices and journeymen working under the direction of a master. But with the popularity of both do-it-yourself programs and personal technology devices there are now many self-taught jewelry designers and craftsmen. 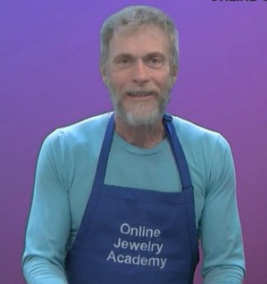 The OJA seeks to bridge the extremes of today's jewelry training. Using detailed video instruction and demonstration, students will be able to have a virtual first-hand visual learning experience. Our hope is to eventually offer other services and products as well.